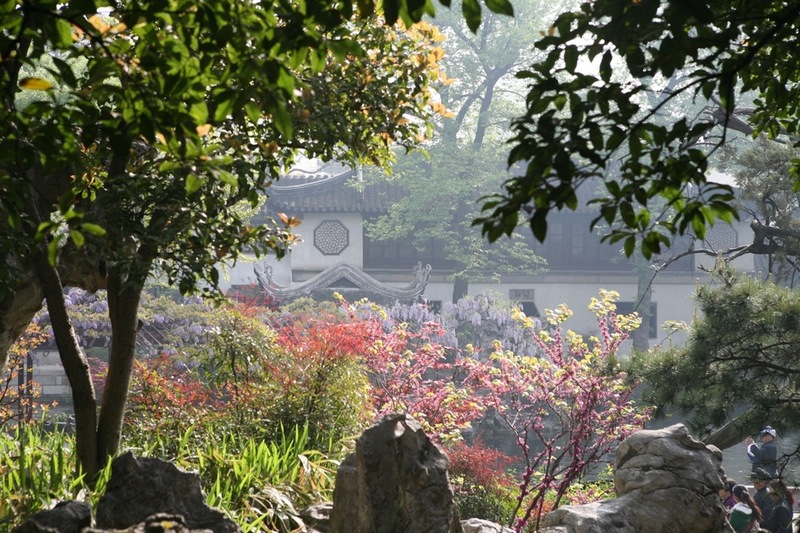 The Chinese garden idealizes nature with an emphasis on balance and harmony. Ji Cheng's guide to Chinese landscaping The Craft of Gardens, written in the 1630's, summarizes the essence of this style: 'create in the likeness of nature; follow the lie of the land; use asymmetry and imbalance; and channel the spirit of the land." Design and layout reflect the principles of Feng Shui. Look for garden paths that define how the garden will be experienced, three dimensional landscape portraits, and the compression and expansion of space. These techniques will come back in the picturesque movement. Check out the posts below for other examples of gardens inspired by the Chinese style.